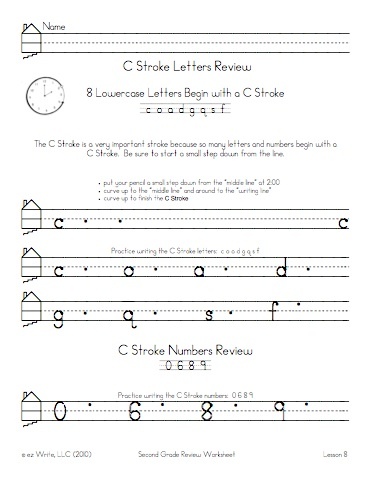 ✓ Instruction in Second Grade begins with a quick review of letters and numbers by stroke groupings. 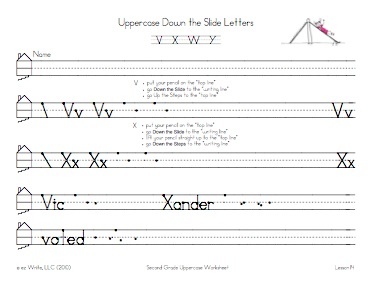 ✓ There are 32 lowercase worksheets and 19 uppercase/lowercase worksheets. 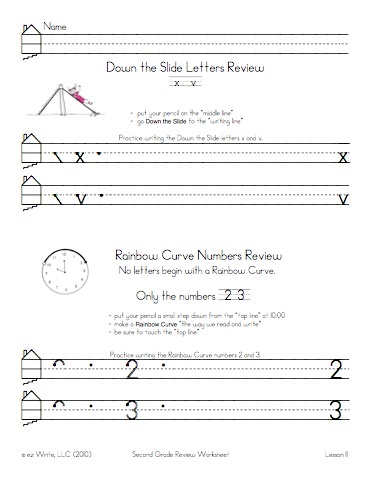 ✓ Many teachers use the writing activity on the backside of the worksheets as a Daily 5 activity. 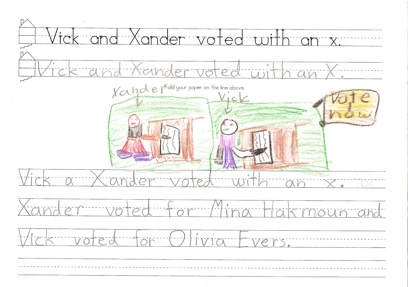 ✓ Students enjoy practicing “dot writing” (seen on the frontside of their worksheets.) Students are only able to “dot write” the words if they print their letters with proper formation. 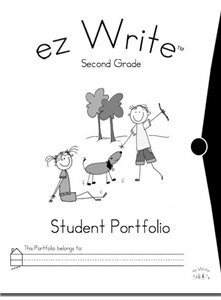 Stroke Review Lessons: The Second Grade teacher has a choice between two Worksheets. 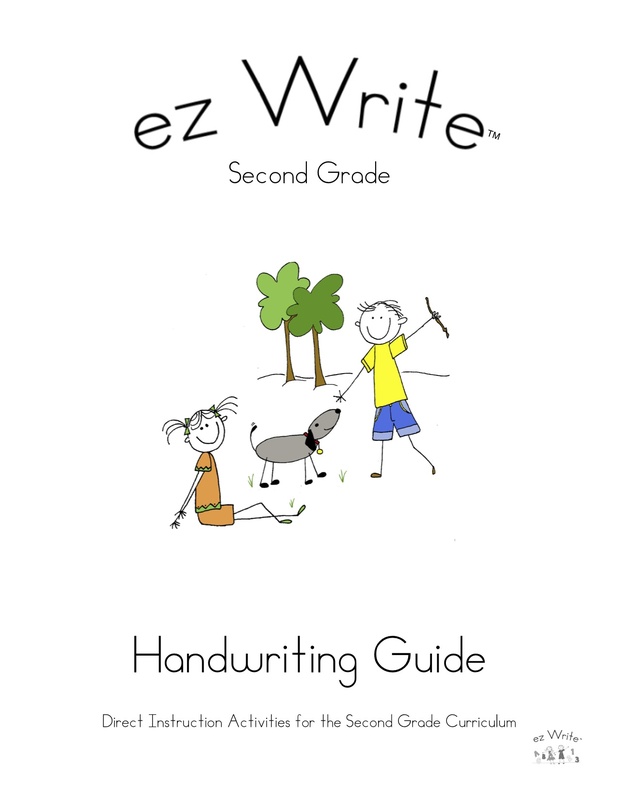 If your students are new to ez Write it is important to spend more time working on learning the 8 Beginning Strokes. Students who learned ez Write in First Grade will begin the year with a quick review of letters and numbers in their stroke groupings. 19 Uppercase and Lowercase Review Lessons: Students review the uppercase letters in their stroke groupings along with the lowercase letters. 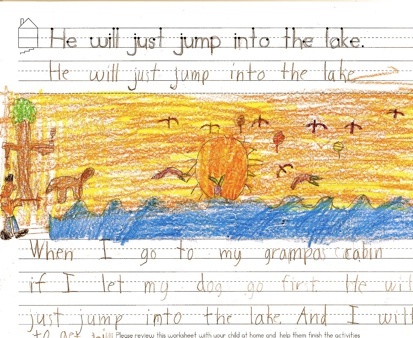 On the backside of the worksheet the students continue to practice creative writing. 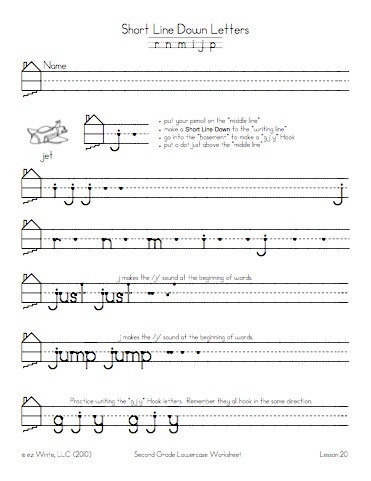 The backside of the worksheets work well as a Daily 5 activity.